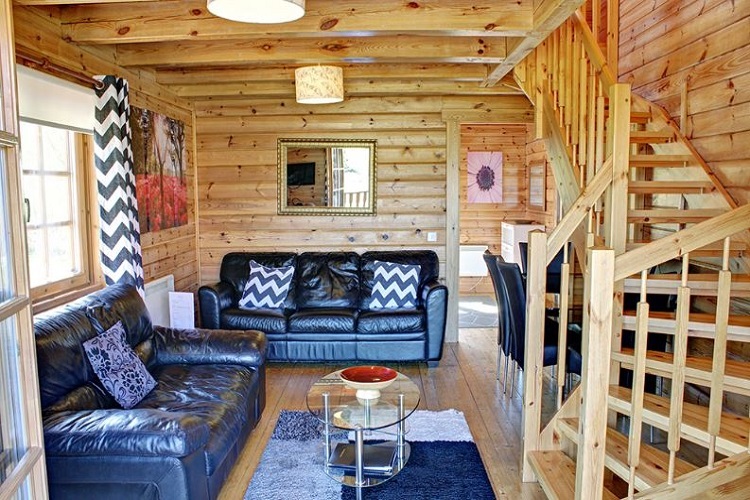 These purpose-built Luxury self-catering lodges can accommodate 6 people. 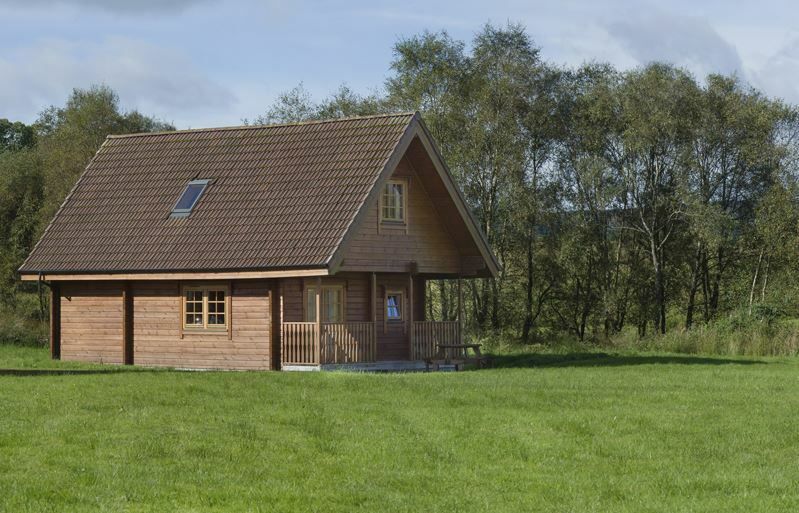 The lodges are fully heated and double glazed. 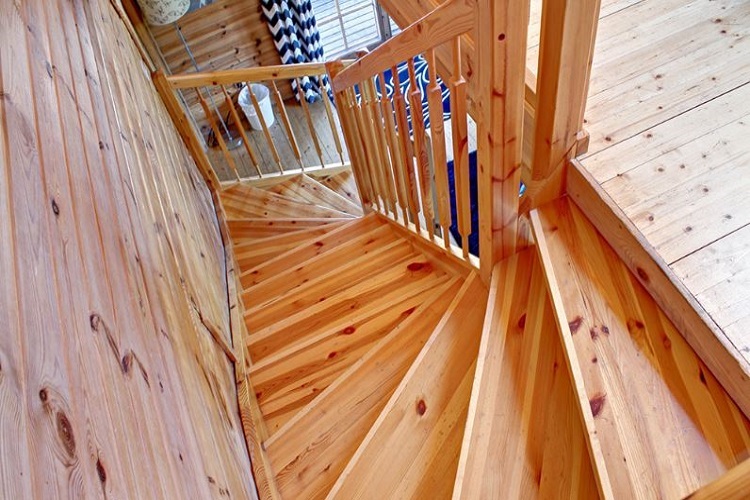 Three lodges have 2 double and one twin bedrooms while the other three have 1 twin and 1 double bedroom with seperate dining room. 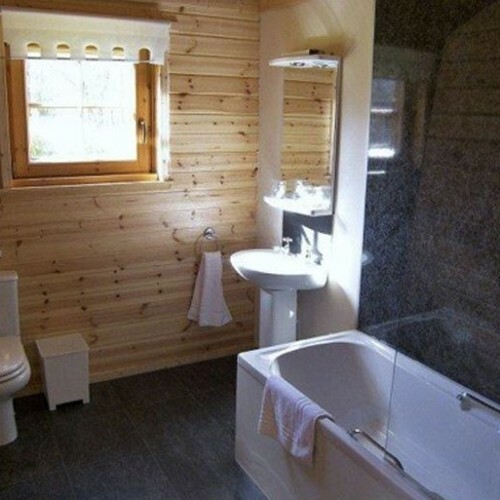 Each has a bathroom with a shower over and separate toilet and basin and covered private Hot Tub. 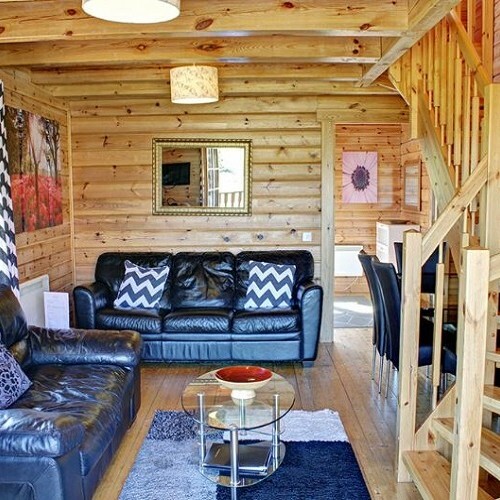 The living area is is furnished with sofa easy chairs and a colour TV with DVD player and benefits from free view Sky TV. 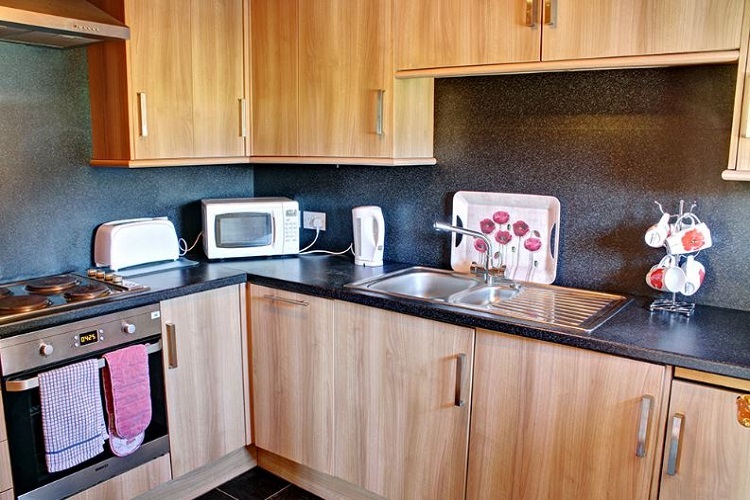 The kitchen is all electric with a washing machine, oven and hob, fridge microwave, dishwasher, plus all the usual kitchen equipment. 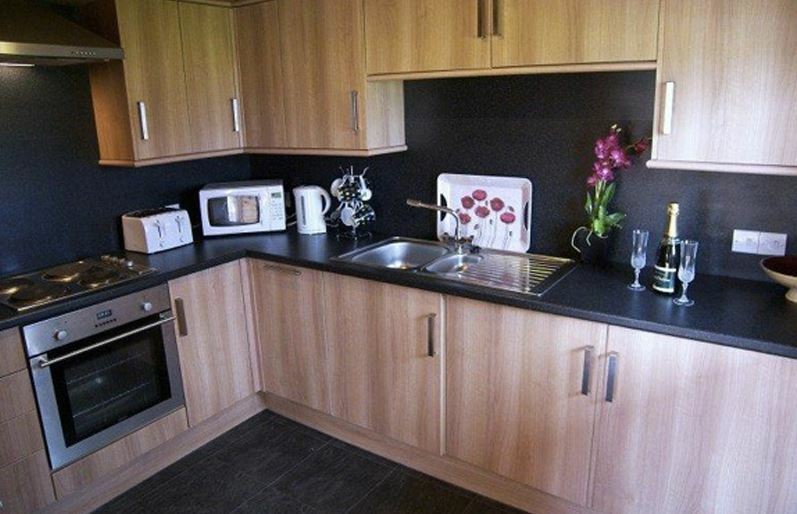 All Lodges have their own parking areas, garden with furniture and BBQ equipment. Clothes drying area in garden. We offer to our guests at no extra cost the use of a hot tub which can accommodate six people easily for a wonderful bubbly soak! 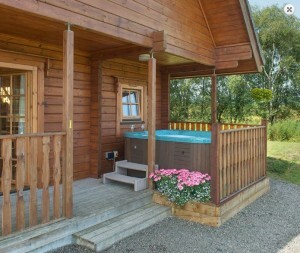 The hot Tub is covered but is not situated inside the Lodges. 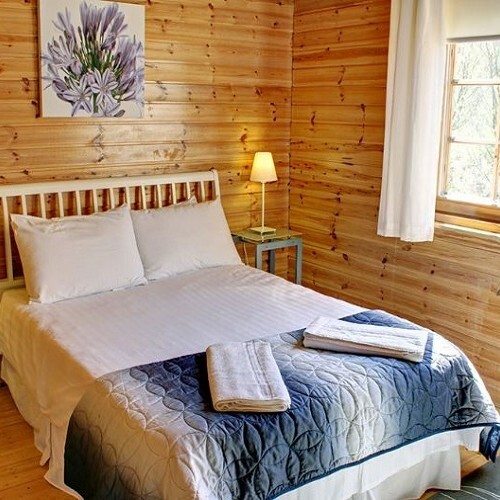 All linen, bedding and towels are provided including kitchen and hand towels as well as such items as high chairs (by request). 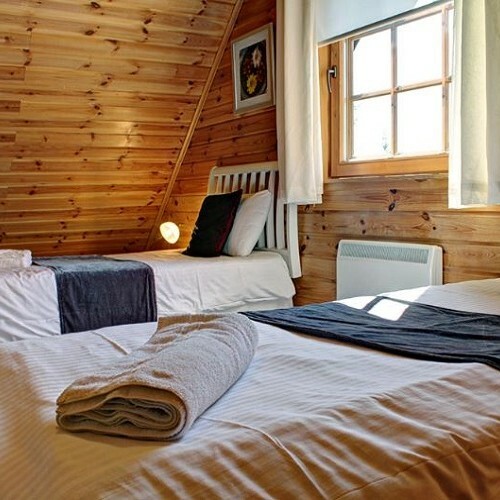 Electricity is included up to a maximum of £20 for week rentals & £10 for short breaks. 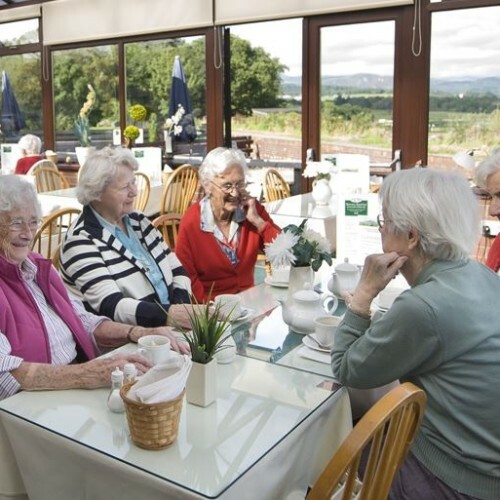 On site there is a lovely coffee shop, serving delicious home baking or full meals; the views from the coffee shop are spectacular. Next door to the coffee shop we have a ladies fashion and accessory boutique, guests staying at the lodges are offered 20% of purchases from both of these shops. 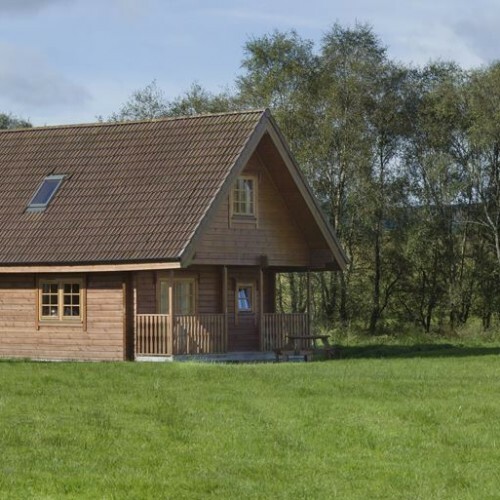 A choice of 2 or 3 bedroom Luxury Self Catering Holiday Lodges located in remote peaceful countryside surroundings with lovely views toward the Ben Ledi hills. 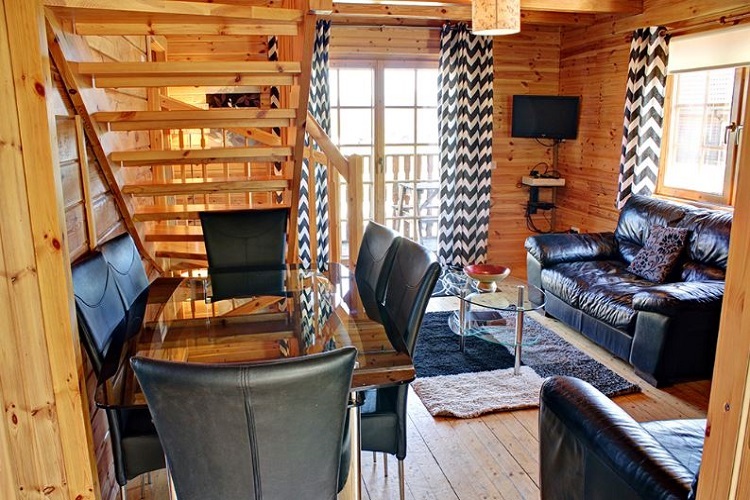 These purpose-built Luxury self-catering lodges can accommodate 6 people. 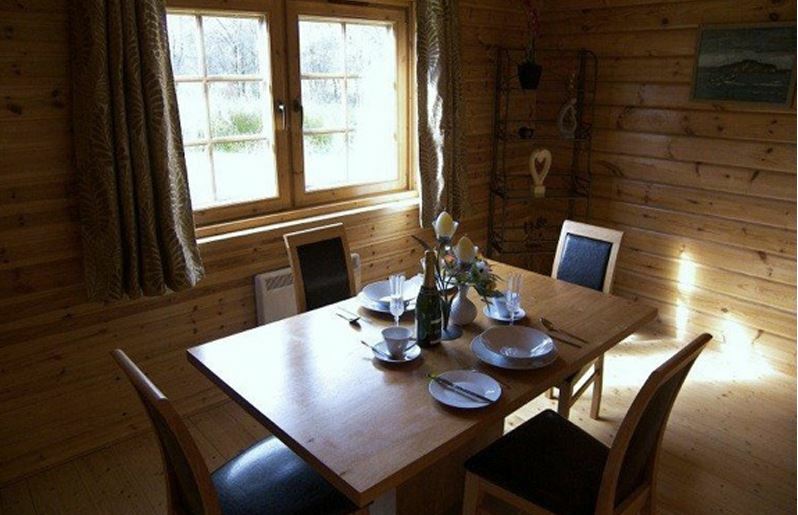 The lodges are fully heated and double glazed. 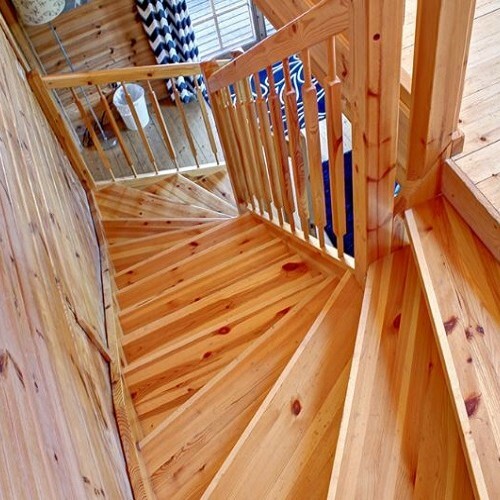 Three lodges have 2 double and one twin bedrooms while the other three have 1 twin and 1 double bedroom with seperate dining room. 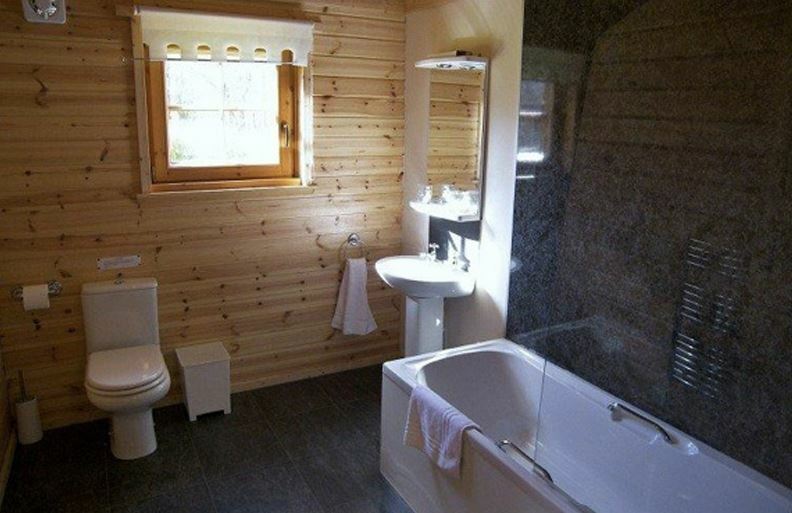 Each has a bathroom with a shower over and separate toilet and basin. 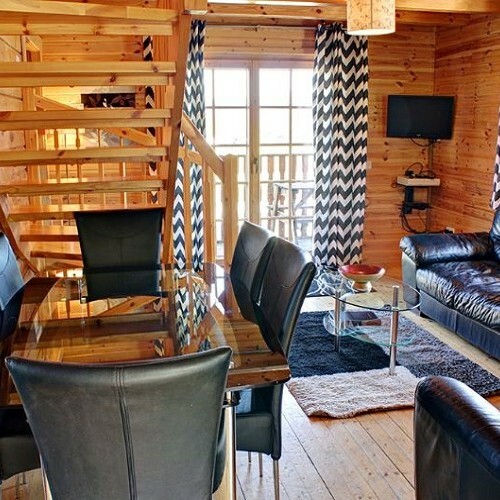 The living area is is furnished with sofa easy chairs and a colour TV with DVD player and benefits from free view Sky TV. 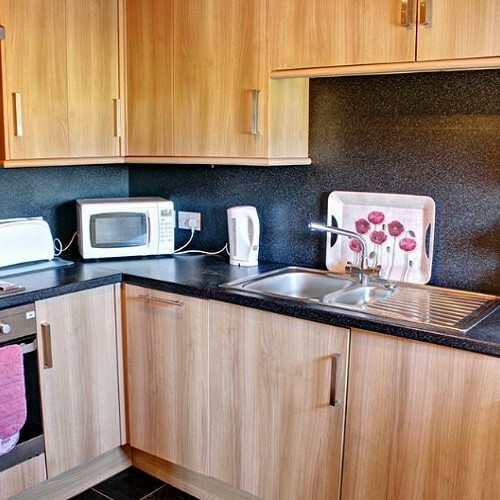 The kitchen is all electric with a washing machine, oven and hob, fridge microwave, dishwasher, plus all the usual kitchen equipment. 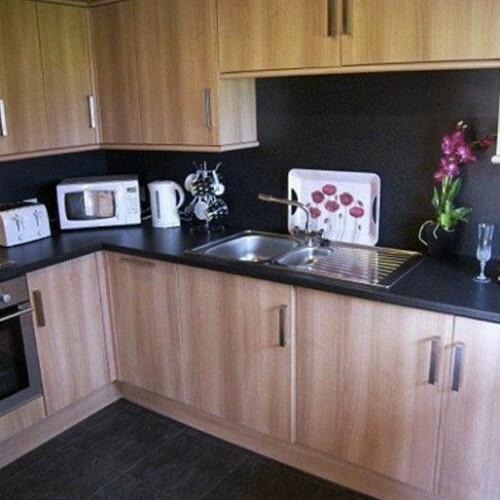 All of our Lodges have own parking area and a garden with furniture and BBQ equipment. Clothes drying area in garden. 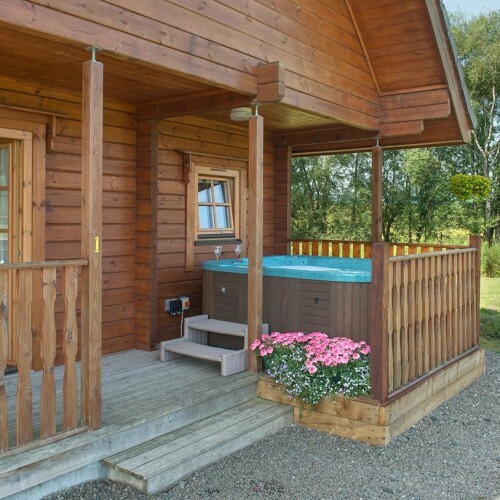 We offer to our guests at no extra cost the use of a hot tub which can accommodate six people easily for a wonderful bubbly soak! The hot Tub is covered but is not situated inside the Lodges. 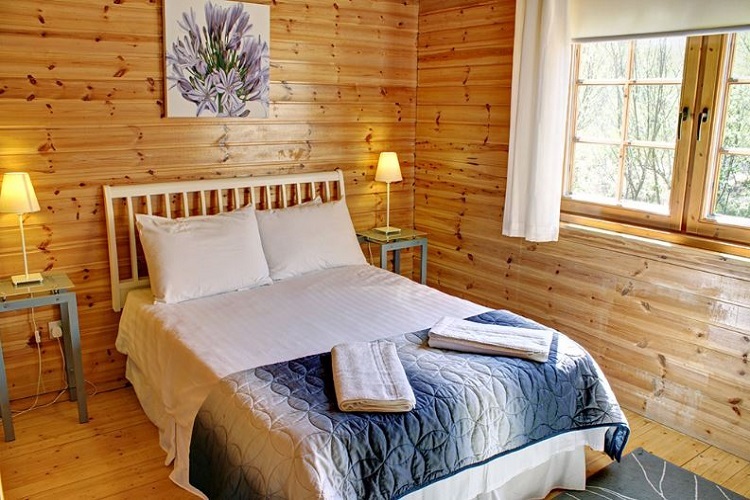 All linen, bedding and towels are provided including kitchen and hand towels as well as such items as high chairs (by request). 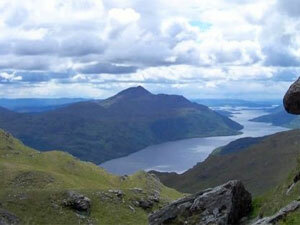 Electricity is included up to a maximum of £20 for week rentals & £10 for short breaks. 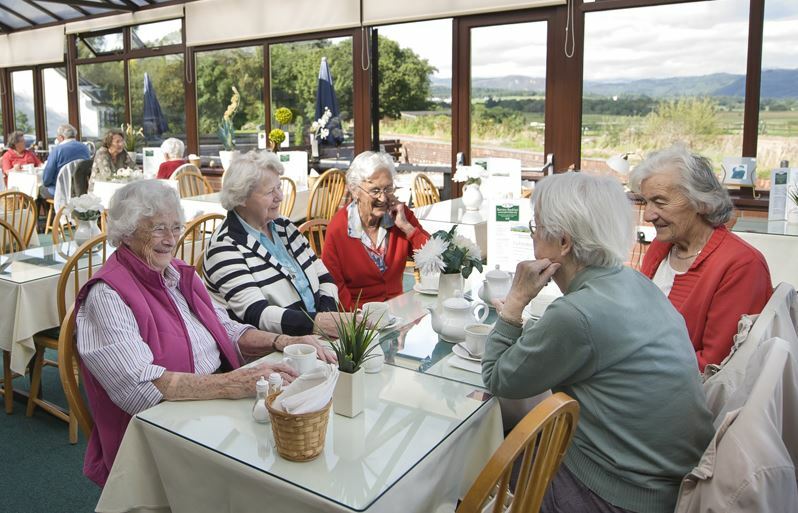 We have on site a lovely coffee shop, serving delicious home baking or full meals; the views from the coffee shop are spectacular. Next door to the coffee shop we have a ladies fashion and accessory boutique, guests staying at the lodges are offered 20% of purchases from both of these shops. 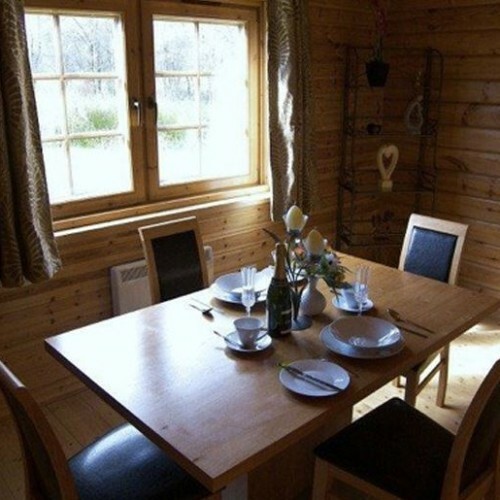 Large Dining & Living Area with Sky TV and DVD. 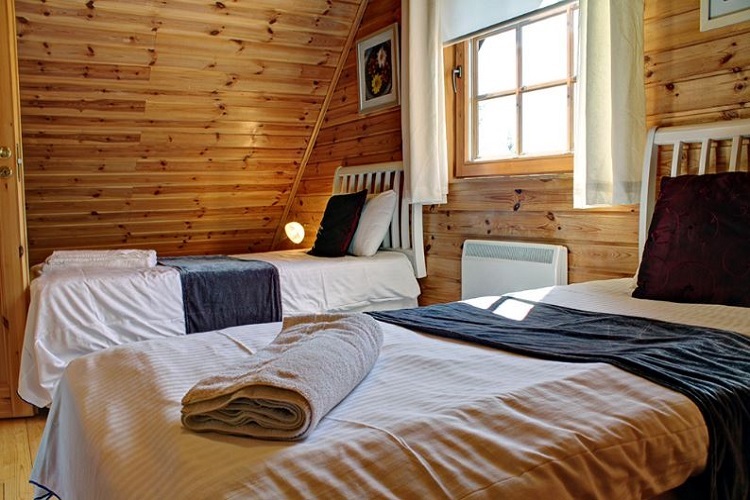 The fantastic Go Ape facility is local to these Luxury Lodges. We have here our own purpose built riding arena. 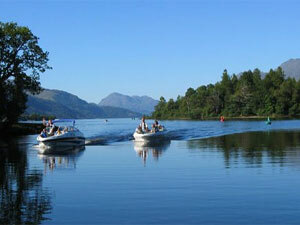 3 miles away in Callander there is a leisure centre with swimming pool, Jacuzzi, steam room, fitness centre, climbing wall and more. 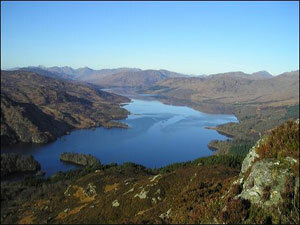 The local town of Aberfoyle is only a short drive from your accommodation.